Seniors: Get Your College List Built this Summer! A sensible and balanced college list takes time! Do your homework NOW. Your original college list will likely look VERY DIFFERENT from your final college list. That’s the way it should be as the weeding process progresses! All this takes time to process, so don’t procrastinate. Most applications open August 1st. Call us at (818) 207-0263 to schedule a college consultation to discuss how we can help you with your college list and college applications. What do I want to study? 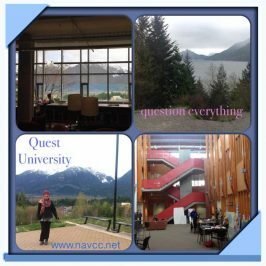 Do I want to be in a large university setting? Would I prefer a smaller campus with more professor interaction? What do I do with my free time? Do those activities exist on my ideal campus, or in the area around campus? Once you have answered these questions, start researching every college you are initially interested in. Make a chart or master list, to keep track of those criteria. College Board is a good place to start and there are many more college review sites & resources available out there. 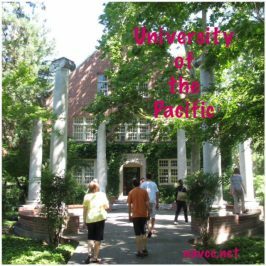 Get out and visit some colleges this summer to educate yourself more! If you can’t get to faraway campuses, seek out video tours on college websites, college reviews, ask admissions people questions, do whatever it takes to find out what you want to know! The more you ask, the better your list will be in the end. Remember students, this is YOUR journey, so be at the head of the family parade when it comes to college research! We research & develop a college list and work with you to refine it. Working one on one with our students, we help them create a preliminary college list. We discuss your interests and strengths, as well as your college goals, which help us narrow down your list to colleges that fit your needs. Contact us for help in building your college list today! 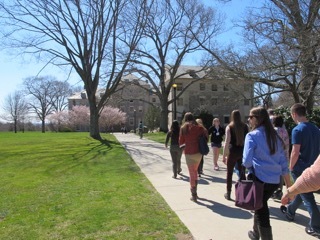 Spring is the perfect time for college tours! Seniors: Don’t Commit to a College Until You Have Been There!